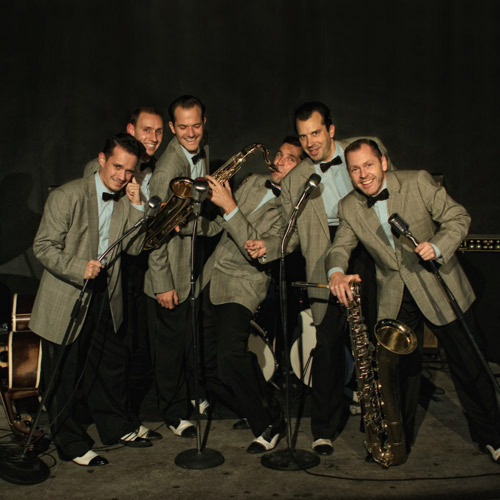 Some more samples are available at our artist profile on RhythmBomb Records. Order your copy today by dropping us an e-mail! It's EUR 15 for EU countries or CZK 300 for the Czech republic and the shipping is free! We require payment up front by international bank transfer or PayPal, we'll send you the details in the follow-up e-mail. We require payment up front by international bank transfer or PayPal, we'll send you the details in the follow-up e-mail. This store is run by The Fireballs, 50s Rock and Roll Band, DIČ CZ27018172, občanské sdružení registered at MV ČR 16.1.2006, č.j. VS/1-1/62891/06-R. The customer has the right to cancel the contract in 14 days after the purchase. 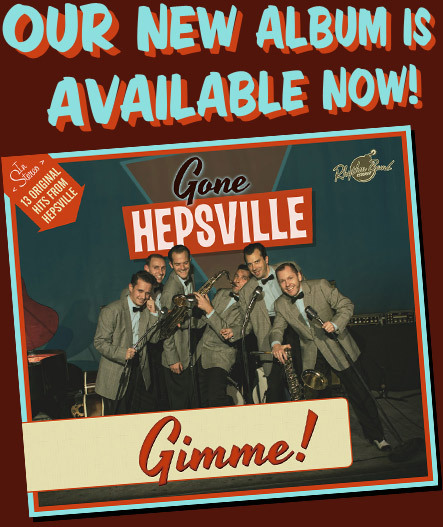 January, 2018: See you all at the record release party of our new album Gimme! on February 16th in Stará pekárna, Brno. See událost na facebooku. Excited! May 3, 2017: In just ten days we will be in Berlin recording our new album. Look forward! 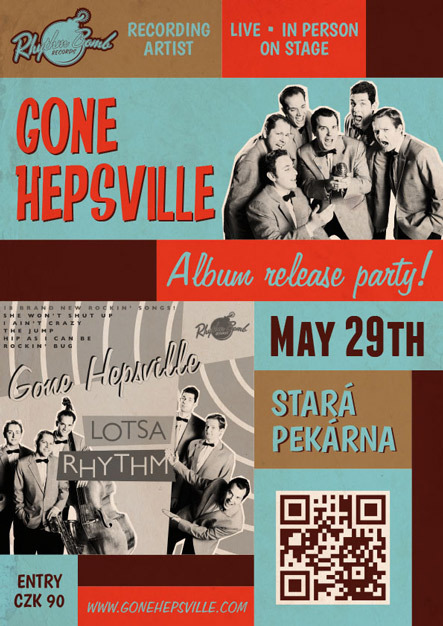 May 1, 2014: Record Release Party in Brno! See you all there! March 25, 2014: Just sent our debut album to manufacturing, it's coming very soon! We are extremely excited! Stay tuned for more! 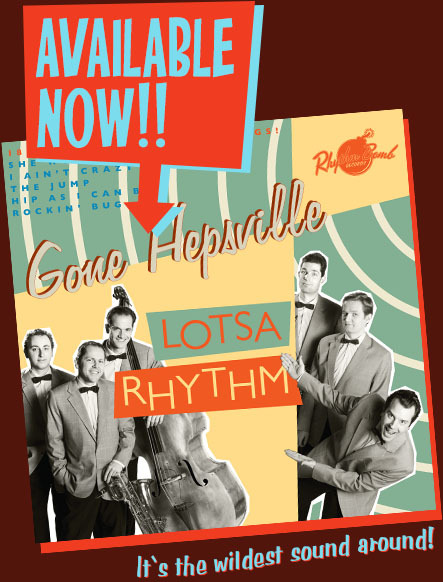 April 11, 2014: Gone Hepsville in Vienna! What a party! See you there! 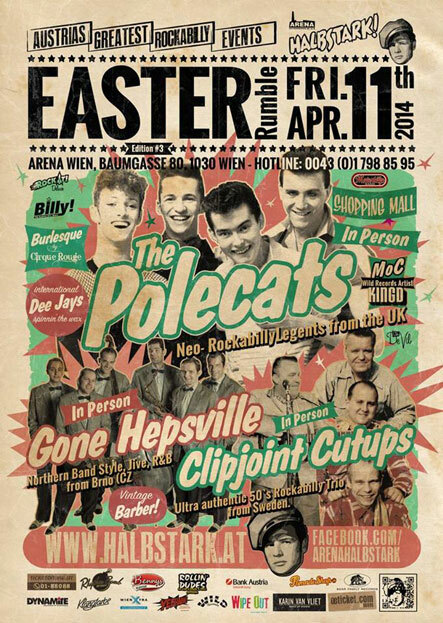 Easter Rumble 2014 at Arena Halbstark! 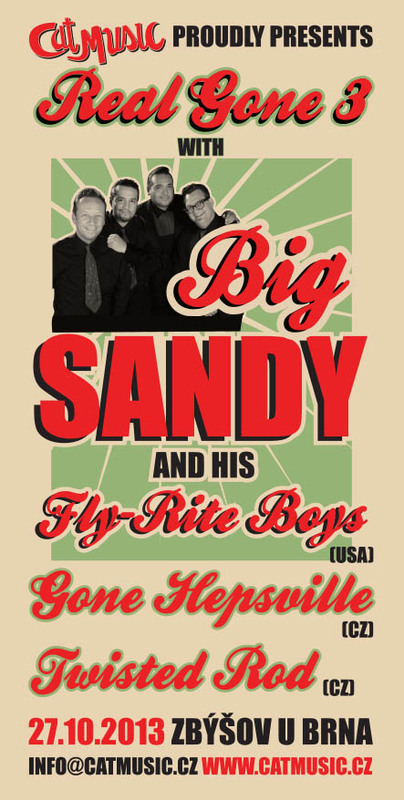 October 14, 2013: Gone Hepsville at Real Gone 3 with the fabulous Big Sandy and his Fly Rite Boys! 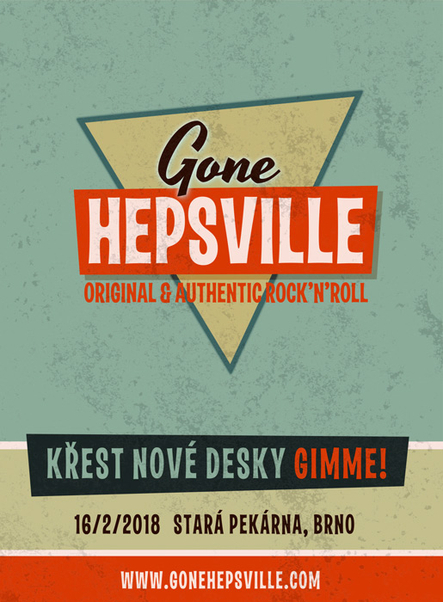 See you at the best rockin' event in the Czech republic! September 27, 2013: Great news! 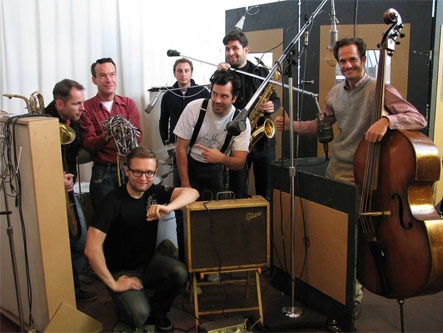 Finally, the time has come and we hit the "Lightning Recorders" studio in Berlin to make our first record! Here you can see Axel holding the master tape which contains more than 20 new rockin' songs! 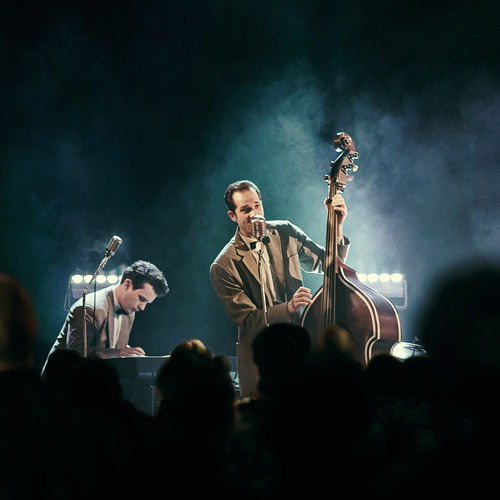 Really vintage sound guaranteed, we are extremely excited about how the record has turned out, can't wait to let you hear it! 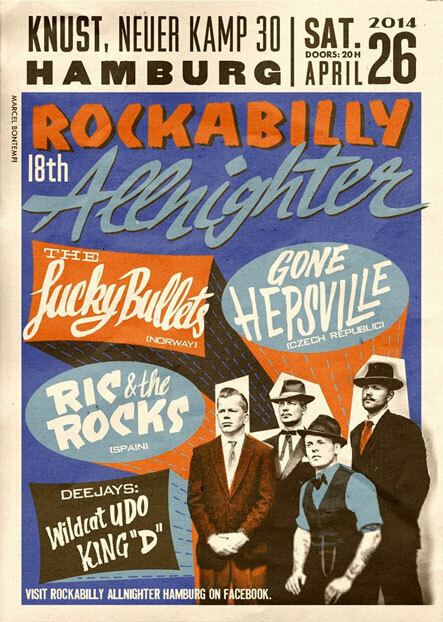 July 15, 2013: Gone Hepsville in Germany, again! 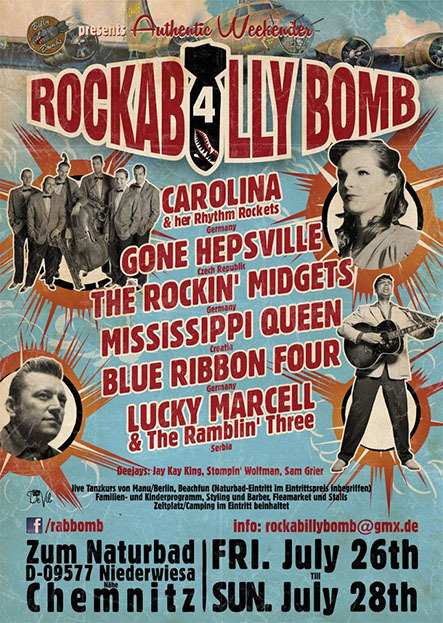 Looking forward to playing at Rockabilly Bomb in Niederwiesa! 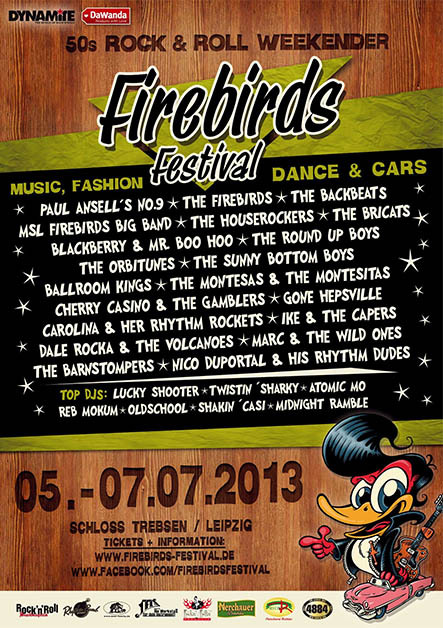 July 1, 2013: Gone Hepsville is coming to Germany to play at Firebirds festival! 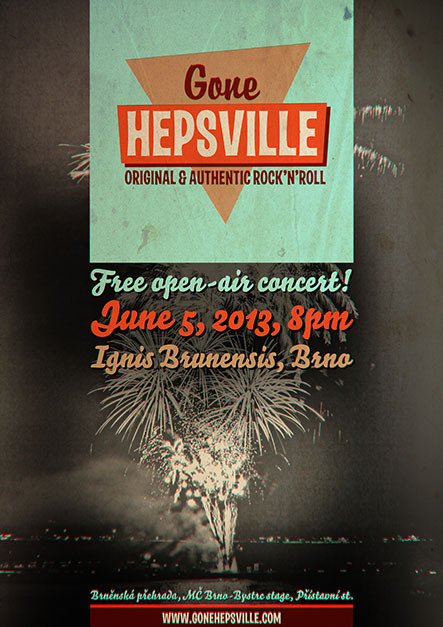 Can't wait, the program is packed with great bands and loads of other attractions! 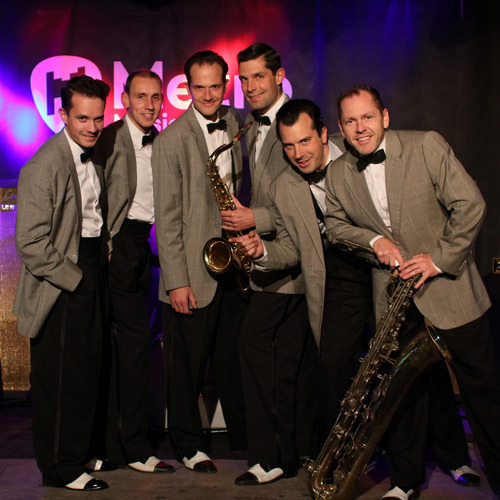 February 20, 2013: Our first gig at Stará Pekárna in our hometown of Brno was great! What an amazing way to spend an evening! Thanks to everyone who turned up, thanks to our friends at CatMusic for their enthusiasm and support and thank you all for making that evening a total blast! Also as support for Mike Sanchez! 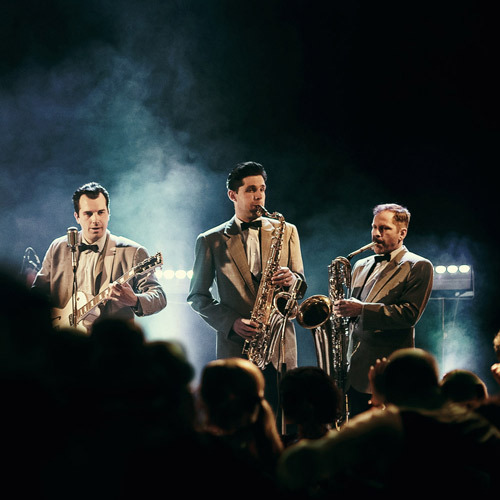 These six boys from the city of Brno (Czech republic) have been rockin' together for more than a decade in a rock'n'roll revival band The Fireballs (CZ), learning the ins and outs of the genre from the masters like Bill Haley, Chuck Berry, The Treniers, Jimmy Cavello, Freddie Bell or The Big Six. 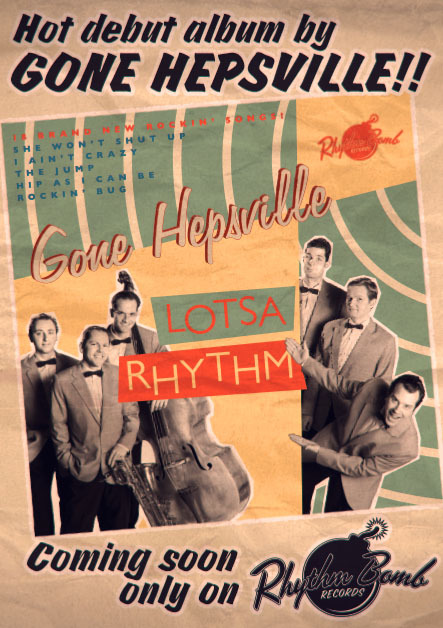 After 10 years, they decided it was time to move into somewhat more demanding territory and formed a pure & authentic jiving combo called GONE HEPSVILLE. 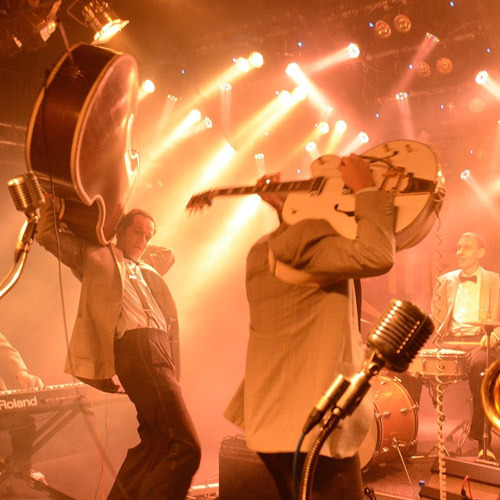 They write their own songs, they arrange them in a ways that make them totally irresistible, but, most importantly, these cats are here to get you jumpin' on the dance floor like crazy for the next 10 years at least. So you better get going, because everyone else has already gone. GONE HEPSVILLE. 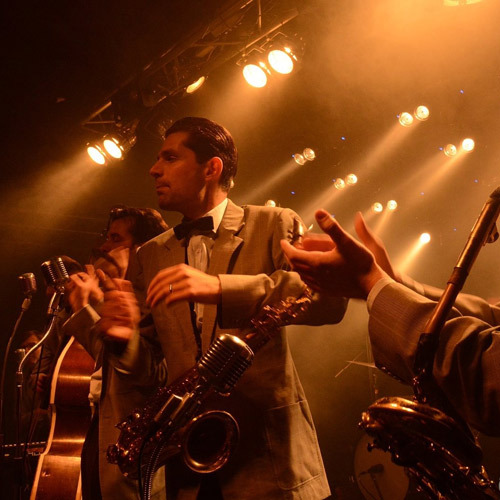 The Hepsvillians are: Petr Pospíšil (bass), Pavel Štursa (guitar), Petr Janovský (tenor sax), Pavel Zlámal (baritone sax), Matěj Fouma (piano), Viktor Martinkovič (drums).